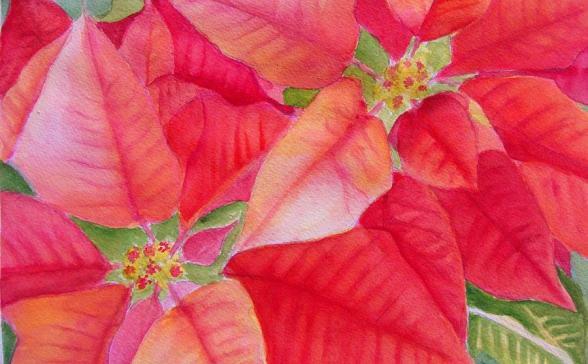 When choosing a poinsettia be sure the plant’s foliage is dark green and that little to none of the yellow pollen is showing. Unwrap the plant as soon as you get it home as gases build up in the wrapping which damage the plant. 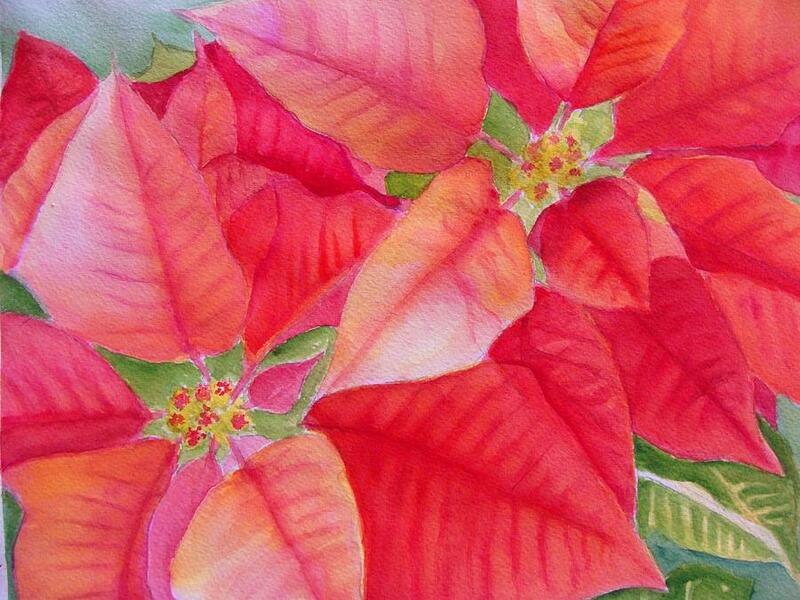 Place your poinsettia in a well-lighted area but don’t let any part of the plant touch window panes. Keep them away from warm or cold drafts. Examine the soil daily and when the surface is dry to the touch, water the soil until it runs freely out of the drainage hole in the container. A wilted plant may drop its leaves prematurely, so check the soil frequently. Plants exposed to high light and low humidity require more frequent watering. If wilting does occur, immediately water and 5 minutes later water again. Do not let the plant sit in water as it will result in root and plant injury.